Painting with a limited palette means restricting the number of colors available for painting. While it might feel intimidating at first, be reassured that you can mix pretty much any color starting from a limited palette of three primaries plus white. 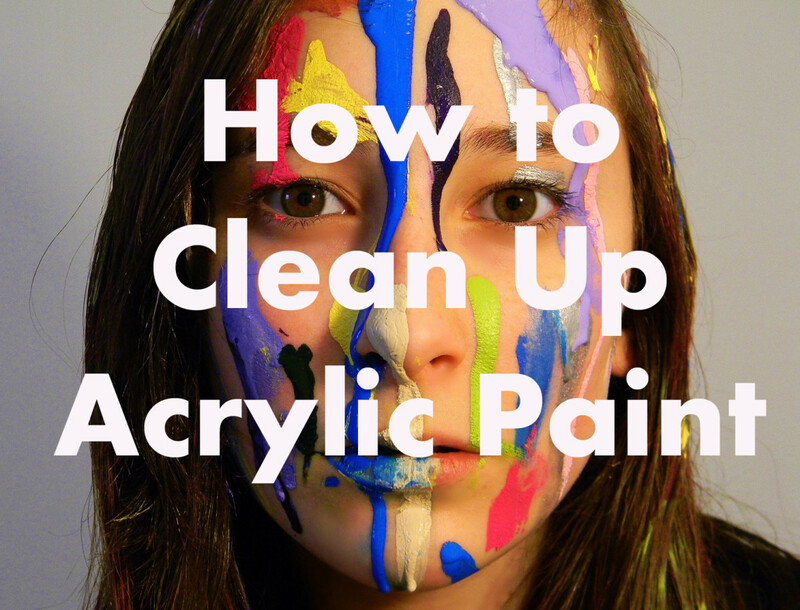 The main colors you'll need are blue, red, and yellow. There is no need to use black. What Colors Do I Include in a Limited palette? When I set up my limited palette, I like to include a lighter, and usually warmer, and a darker version of each color. For blue, I squeeze out two different blues, one darker and one lighter, like ultramarine blue and cerulean blue. For the yellow, you can get a cadmium yellow deep and a cadmium lemon light. 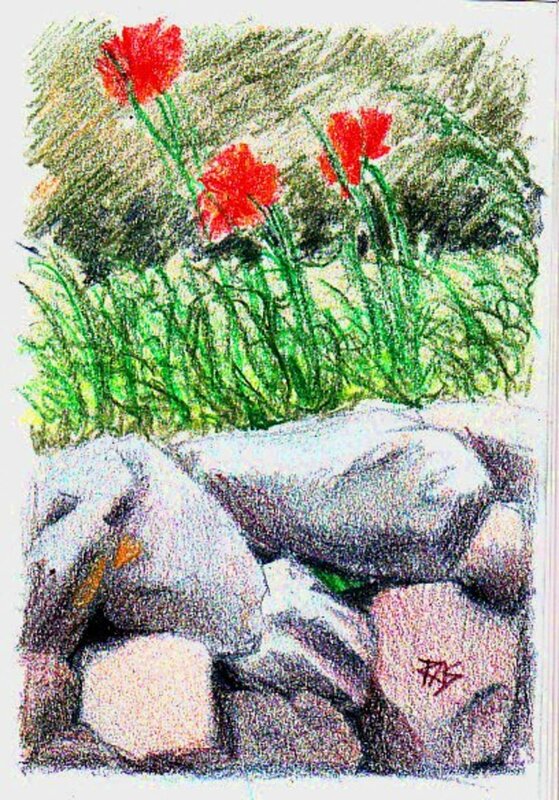 For the red, a cadmium red and quinacridone magenta. 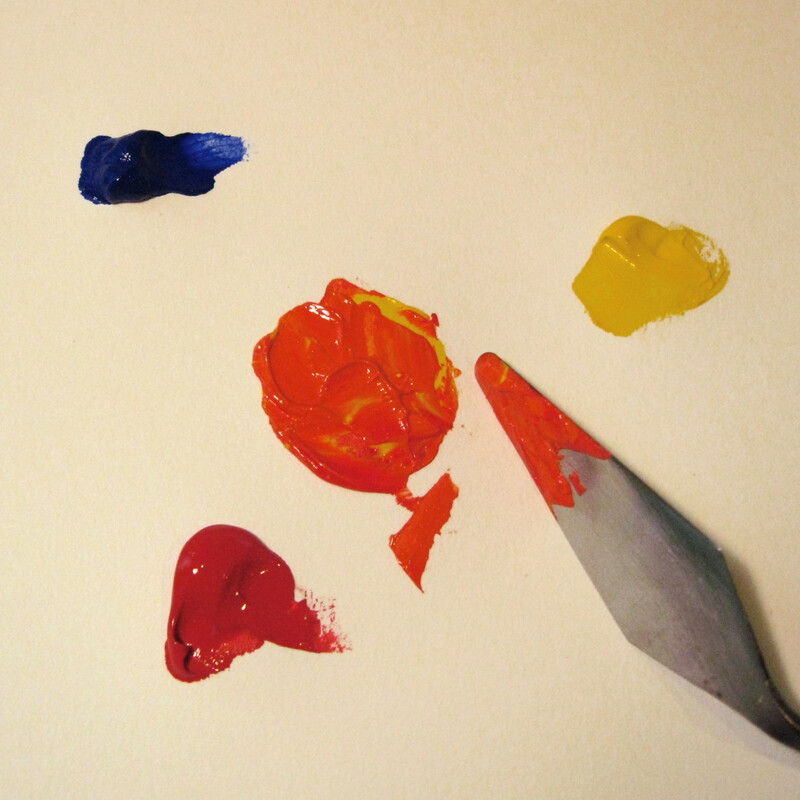 Cadmium colors are very opaque, that means that when mixing, they are pretty strong and powerful. For whites, you can also go more opaque or transparent. An opaque white (i.e. Titanium White) will make the mix flatter and less translucent. A transparent white (i.e. Zinc White) will require more white to lighten the color, but it would retain the hue better. You can mix your own black from the three primaries: I get my black mixing a little red and a little yellow with ultramarine blue. 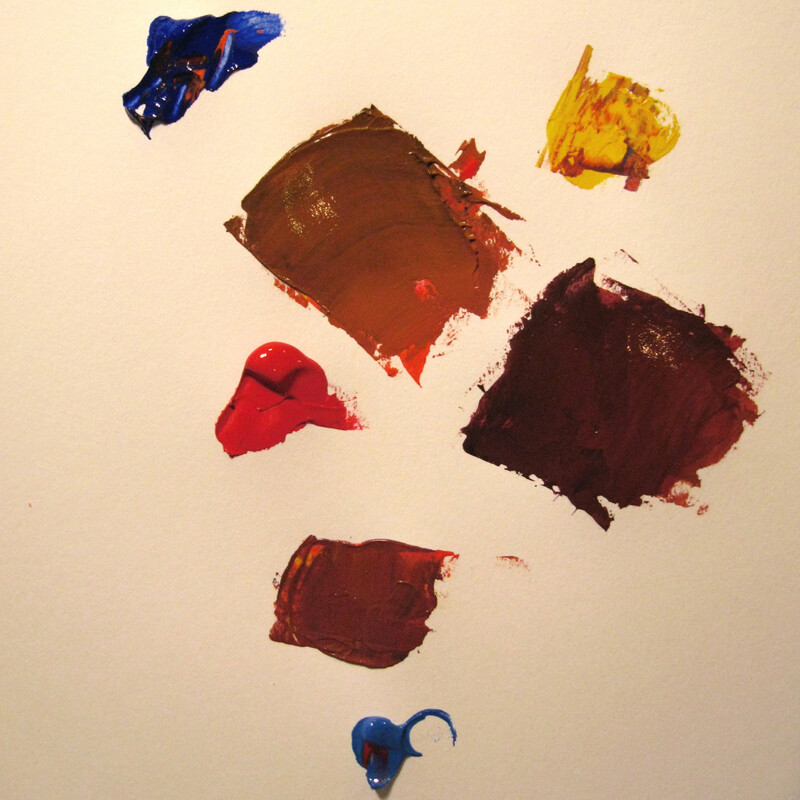 Another shortcut to get black is mixing ultramarine blue and burnt umber or burnt sienna. 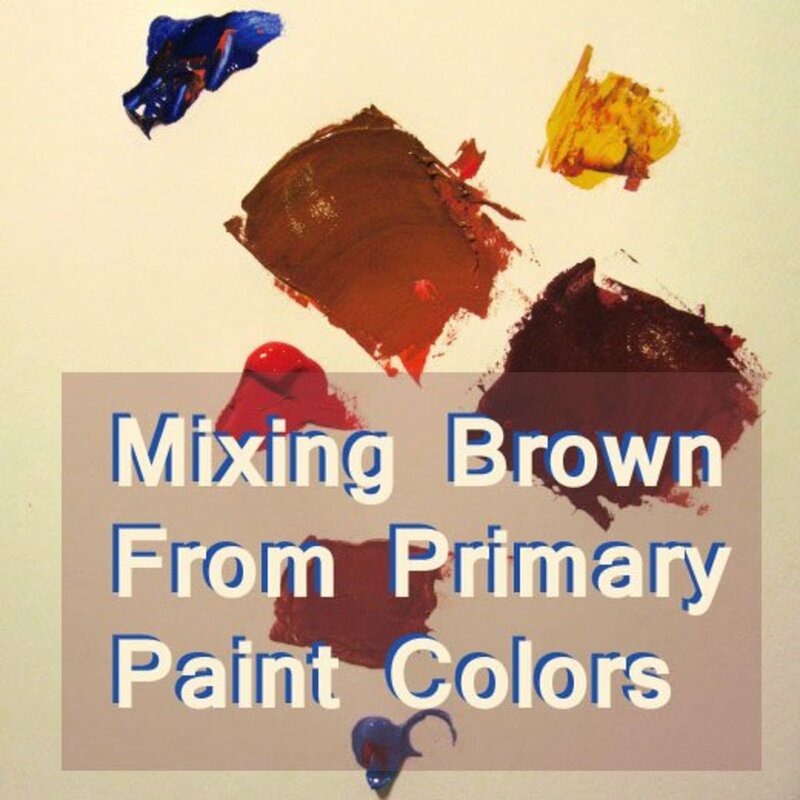 The bottom line is that to mix brown from a limited palette you need to mix the three primary colors. For a lighter shade of brown, you can add white. I usually don’t like to use black, because black flattens the paint too much, and in nature pure black hardly exists. However, you can use it to darken a color if you so want. As they teach you in primary school, to get brown you need to mix green and red. That sounds simple enough, though the shade of brown you get depends on what green and what red you mix, and in what proportions. As we all know green is achieved by mixing blue and yellow. 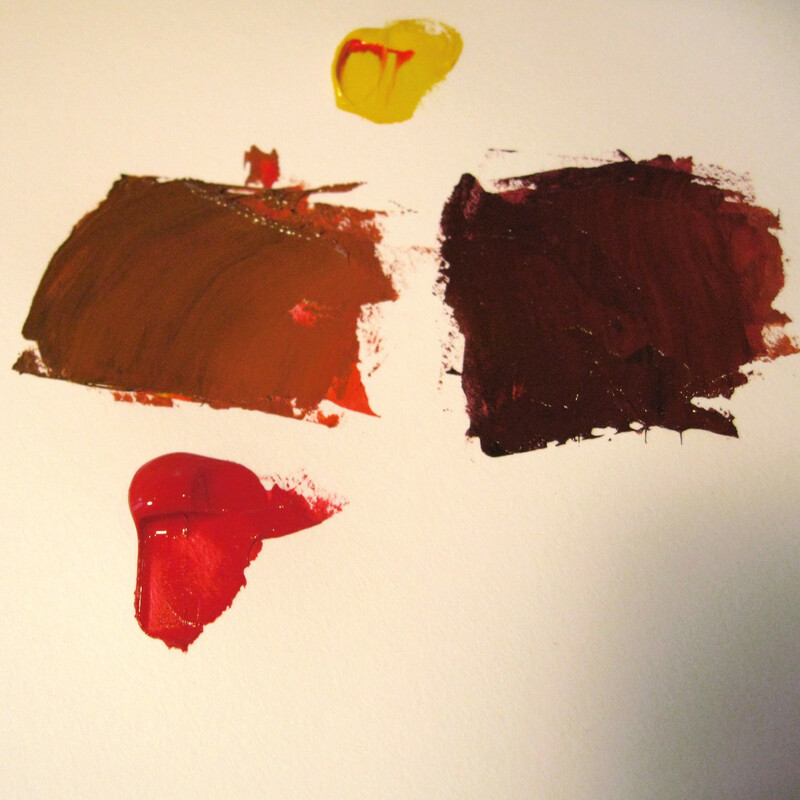 That means that brown is the mixing of the three primaries, in different proportions. Green is a very tricky color to mix. Depending on what hues you are mixing and in what proportions you get totally different greens. In a similar way, you can make brown from a mix of orange and blue. 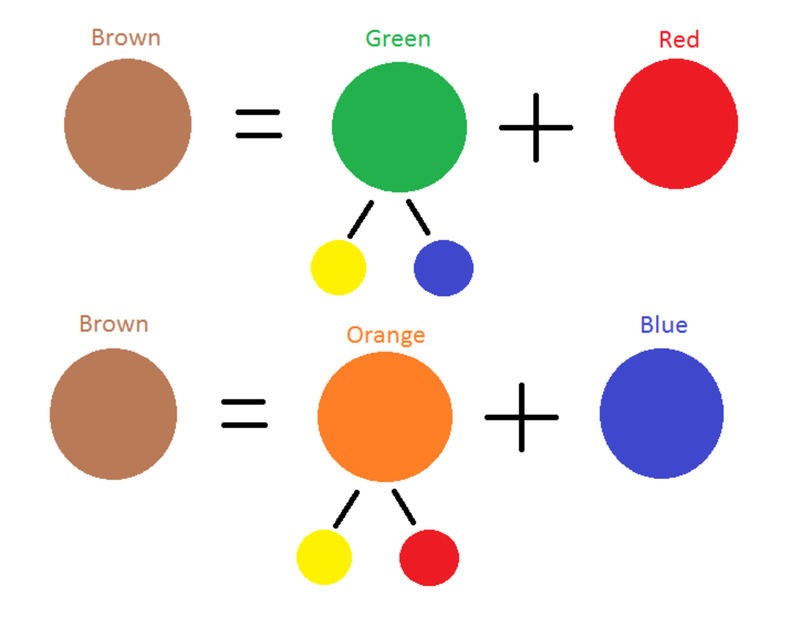 So if brown is obtained mixing orange and blue, that means that brown is a mix of the three primaries. Blue is the only color which maintains its own character in all its tones... it will always stay blue; whereas yellow is blackened in its shades, and fades away when lightened; red when darkened becomes brown, and diluted with white is no longer red, but another color – pink. There is no right answer for brown. 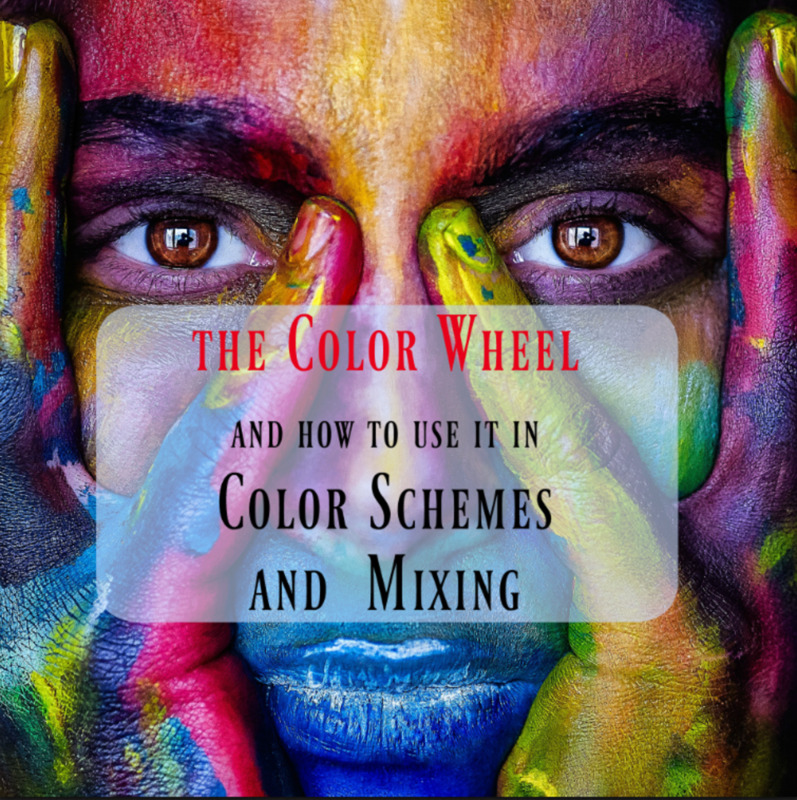 You can mix and match different reds, blues, and yellows, and get all kinds of shades of brown. Depending on the kind of primaries that you are starting from, you can get greenish browns, golden browns, reddish ones, etc. 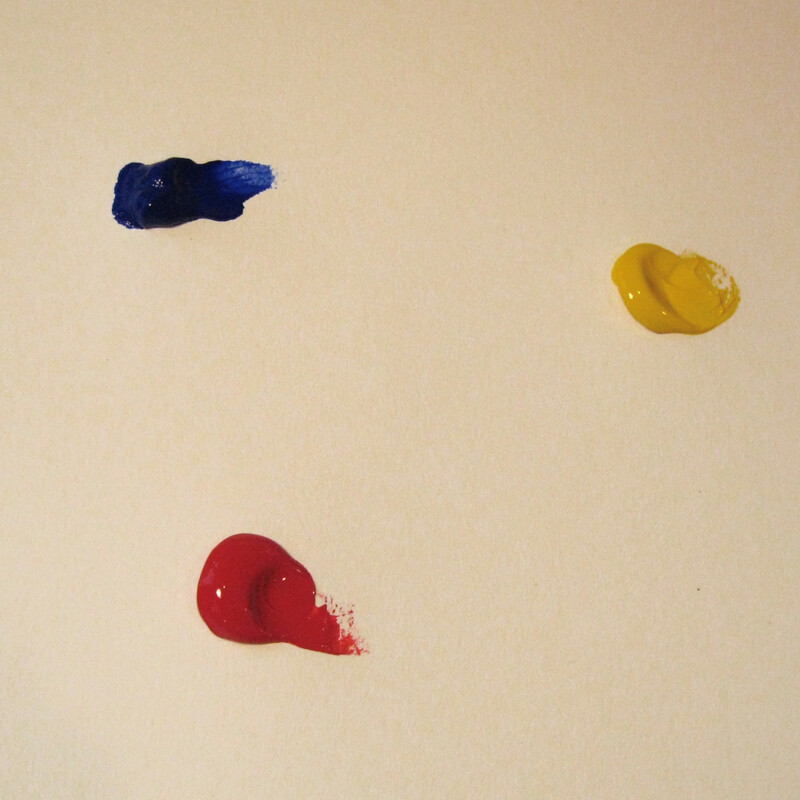 Mixing blue, yellow, and red is like mixing orange and blue, or green and red. It does not matter which colors you mix first. 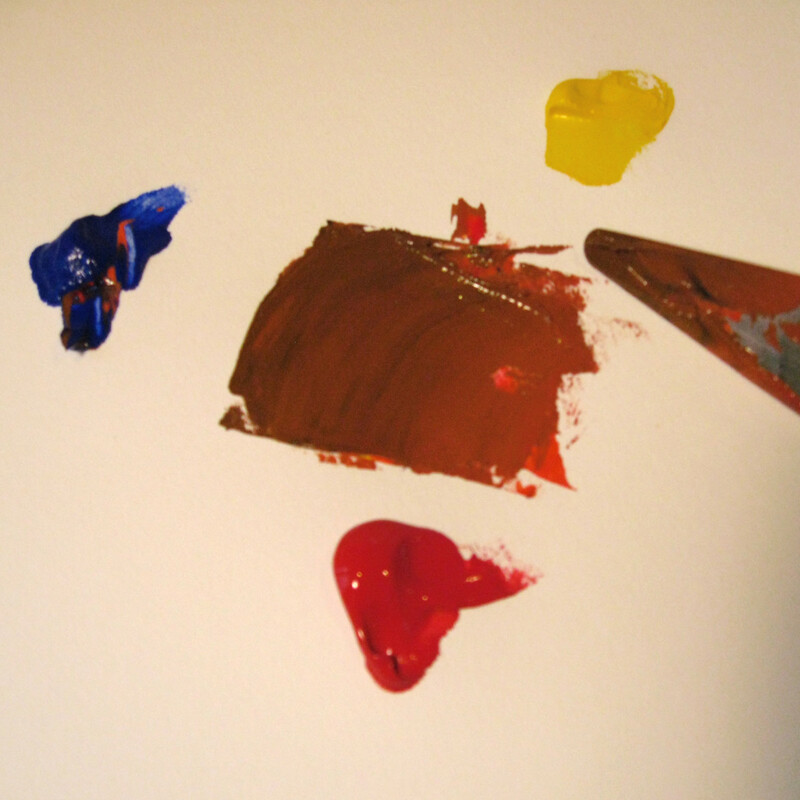 In the example, I started by mixing a dark orange, obtained mixing red with a little yellow. Mix a beautiful red-orange using the palette knife. 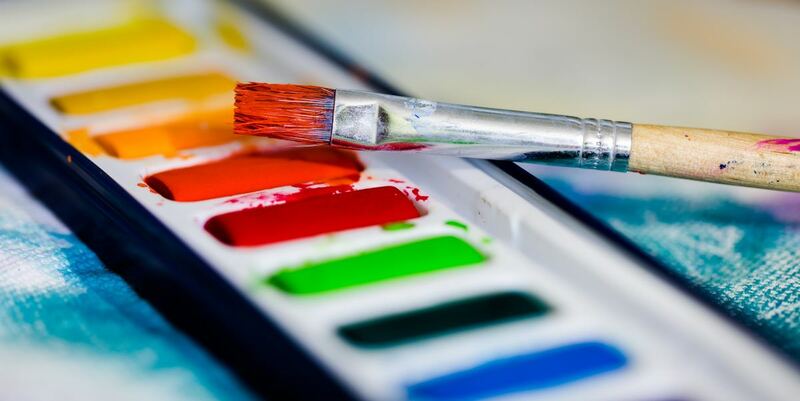 Avoid mixing a big quantity of paint with your paintbrushes, you would ruin the brushes and also it would create streaks of color in the brush, that come out unexpectedly while painting. Once you have your orange, add a little bit of blue, mix it in and see what happens. The more blue you add, the darker your brown. If you start from a lighter orange, adding a little blue you get a light greenish brown, kind of a golden color. This is a great starting for skin tones when you are painting portraits. It is not so difficult to get brown by mistake. When painting, always pay attention to keeping your colors clean. If you don’t clean your brush in between colors, you end up involuntarily creating a muddier version of the color you are painting. The same thing happens when you are painting two complementary colors next to each other, the area where they mix or overlap becomes muddy. This is particularly evident when using watercolors, for their transparency. What colors do I mix to get golden brown? Brown is really nothing else than a dark, dull orange. You can think of golden brown as a dull, dark yellow-orange. To achieve that color from a limited palette of three primaries, start with yellow. Add small quantities of red and blue, very conservatively, mixing at every step to see how far you've gone in one direction or the other. Add a bit of red to get you closer to orange; with a bit of blue, you move toward greens or blues. To get golden brown, get some pure yellow and add a little bit of red. Be aware that it's hard to make a dark color lighter; move slower from light to dark. Once you have a nice golden orange, add a tiny bit of blue or violet to the mixture; this will make it duller. Be aware that some colors are ultra strong, for example, any green or blue with phthalo in them are very opaque, and a small quantity goes a long way. In short: to make a golden brown start from yellow, mix it to a light orange, then dull it down a bit. In the early stages of a realistic painting, how much paint should be on the brush? Should the brushstrokes be thick or thin? The first layers of a painting usually have the thinnest layers of paint, especially if you are after a realistic effect. Scoop up little paint, thinned with some odorless spirit. A lot of people working realistically work thin and wait for the paint to be dry, then add glazes or more thin paint. The last details can be thicker. Some other people start with a thin drawing, then apply thick brushstrokes, and do not paint over them, preserving the freshness of the strokes. It's all about what style suits you best. 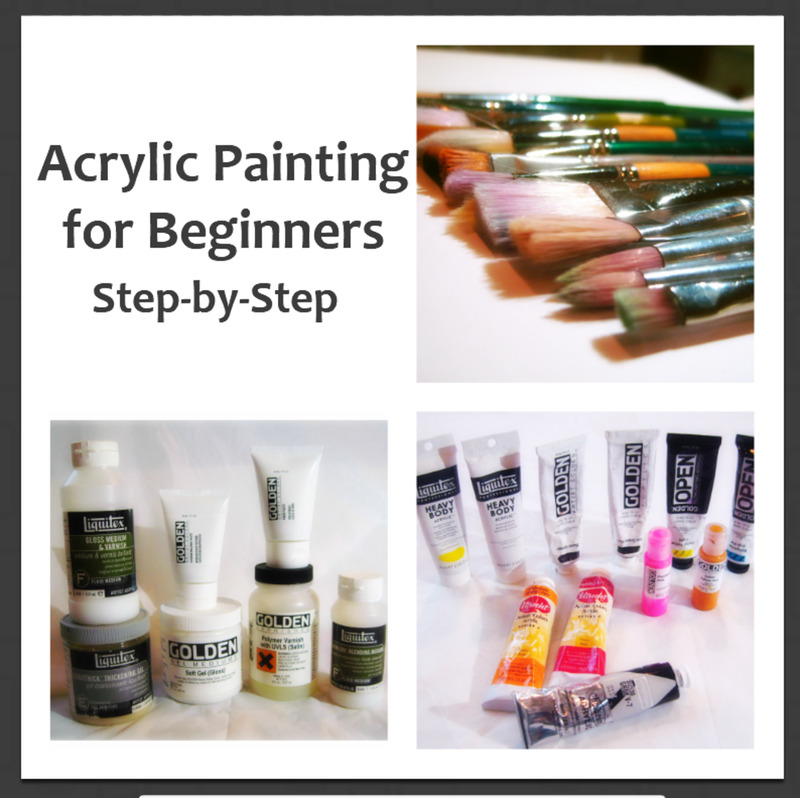 Is Winton oil paint good for beginners and can it produce a good-quality work? Winton oil colors are great for beginners and for professionals that go through a lot of paint. They are made with slightly cheaper pigments but don't have all the fillers that lower quality the student paint. 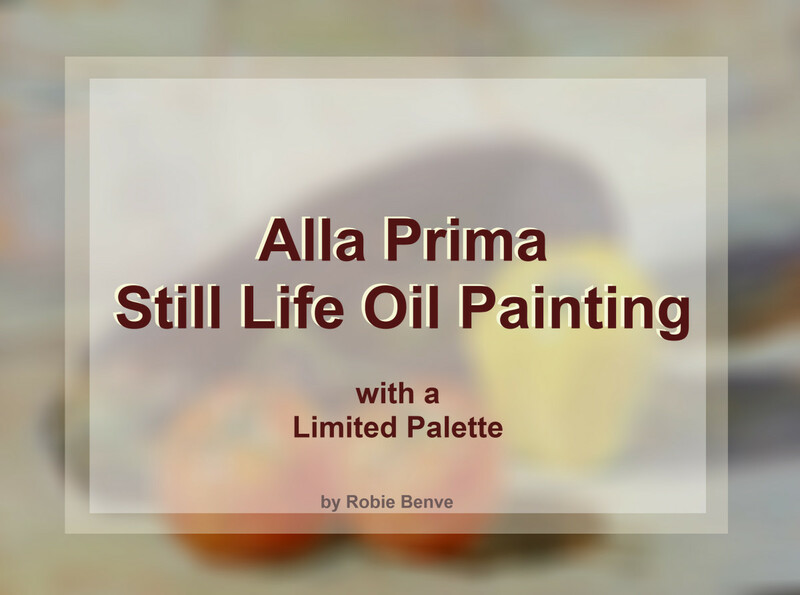 It's a high-quality yet economical oil paint. Hi Kelvin, those are great questions! I thought they would be very interesting for many, so I turned them into self-standing questions and will appear at the end of the article. Check them out. this is amazing information i appreciate you, but i have two questions with me,? 1: how much paint should be on the brush in the early stages of painting realistic?. 2: is winton colours good for beginners and can it produce good quality of work ?. 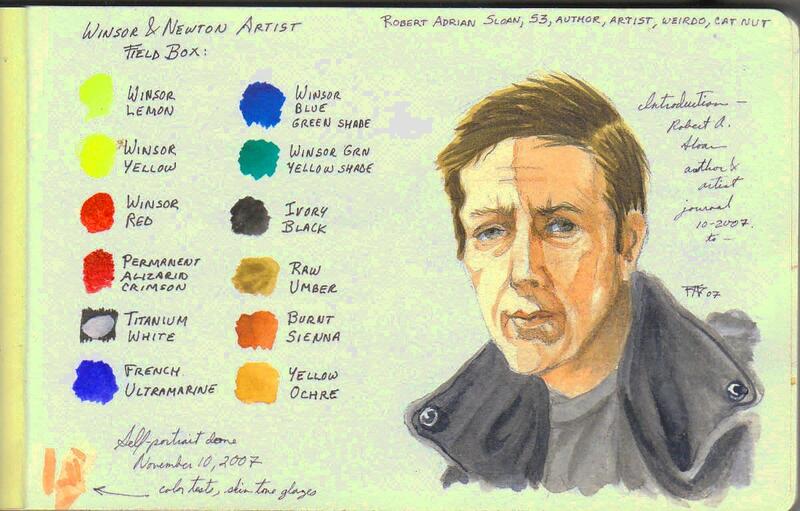 Some good suggestions here...and I know about muddy colors. However I also stay away from black and mix my own browns. Great job here for painters to follow. Pinning.